Toby Sowery, five-time race winner in BRDC British Formula 3 last season, will return with Lanan Racing as he eyes the 2017 title in the UK's leading single-seater category. The 20-year-old continues his association with the Bedfordshire-based outfit, which yielded a third place overall finish in 2016 as Sowery remained in title contention until the very final round of the season at Donington Park. 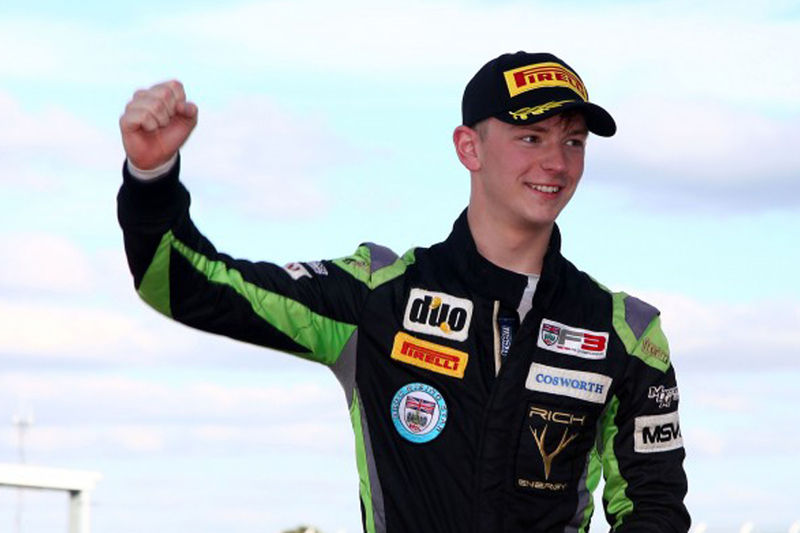 Sowery, who was one of four drivers nominated for the prestigious McLaren Autosport BRDC Award last year, graduated to BRDC British Formula 3 following a partial campaign in the then named MSA Formula category in 2015. "I'm really looking forward to working with Lanan Racing again, they are a great team and we showed at Donington in the last race in 2016 how strong we can be.â€œ Sowery said â€“ "I am hungrier than ever before and pre-season testing has been positive so we are optimistic going in to the first race weekend at Oulton Park. We know our strengths and weaknesses from last year and are determined to work together to produce a faster and more consistent package this season. I can't wait to get racing again. The field this year looks strong but we have one goal only to take the title." Graham Johnson, team principal of Lanan Racing, commented: "Toby is a brilliant driver and we have been fortunate to enjoy a very strong working relationship over a number of years now. It is fantastic to welcome him back to the team for 2017 and we aim to build on our successes of last year and challenge for the title."